One whose life is devoted to sensual appetites, a sensualist, a pleasure-seeker. 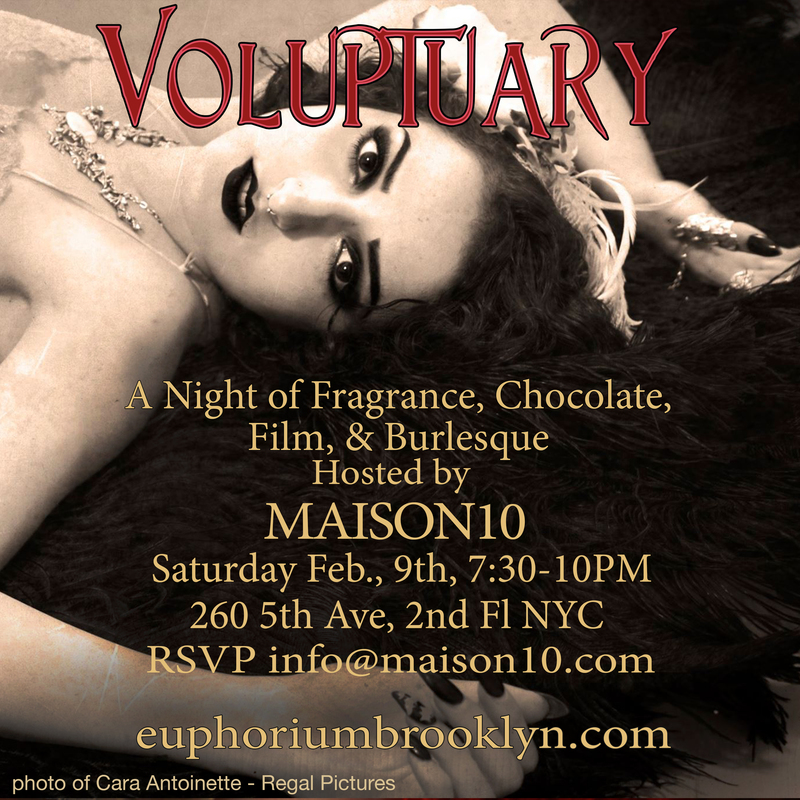 The Voluptuaries came out in full force and we filled MAISON 10 to capacity! 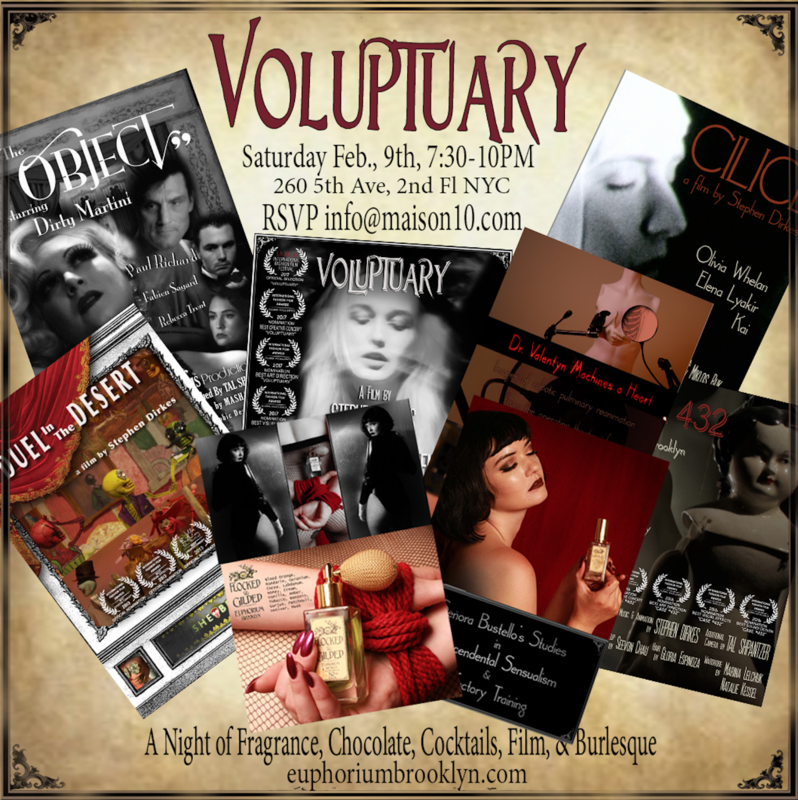 fragrance, chocolate, cocktails, burlesque, and film. 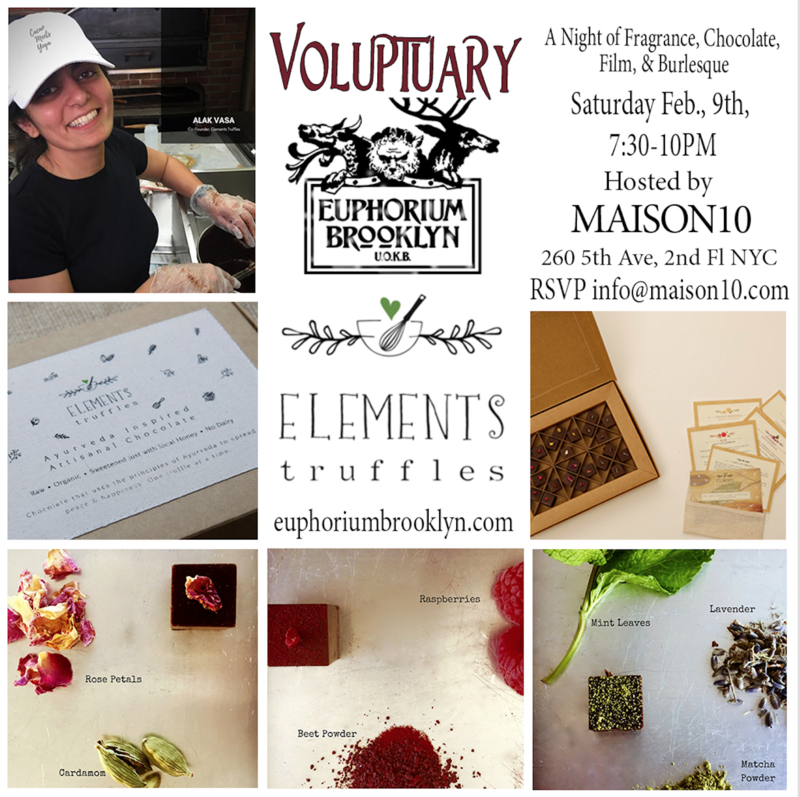 fragrances were sampled at the event. 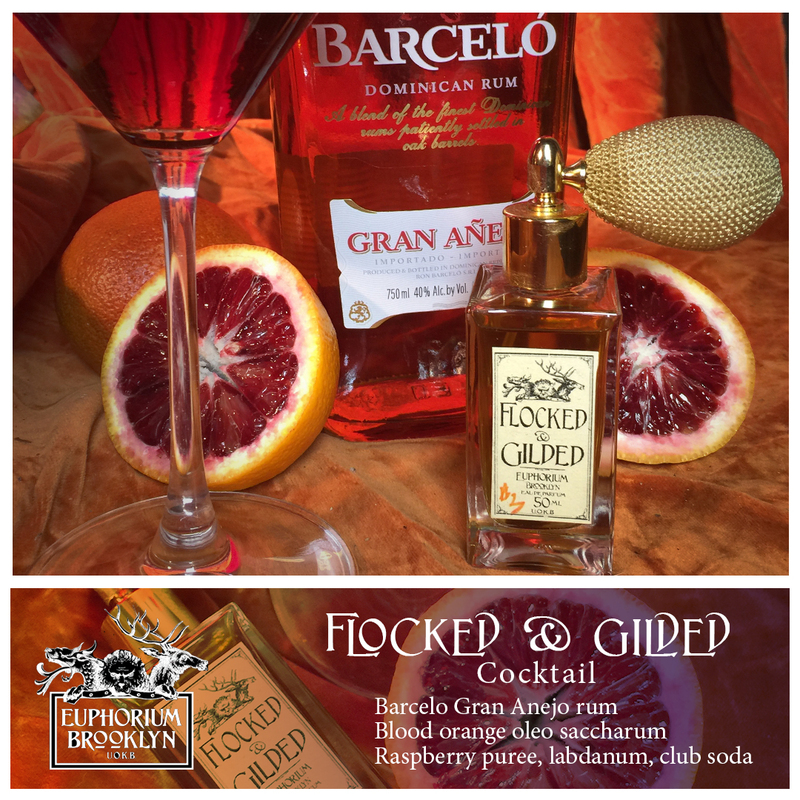 Blackwell and screening FLOCKED & GILDED and CHOCOLATL inspired short films. Tal will also be presenting her notecard collection and fragrance sets. 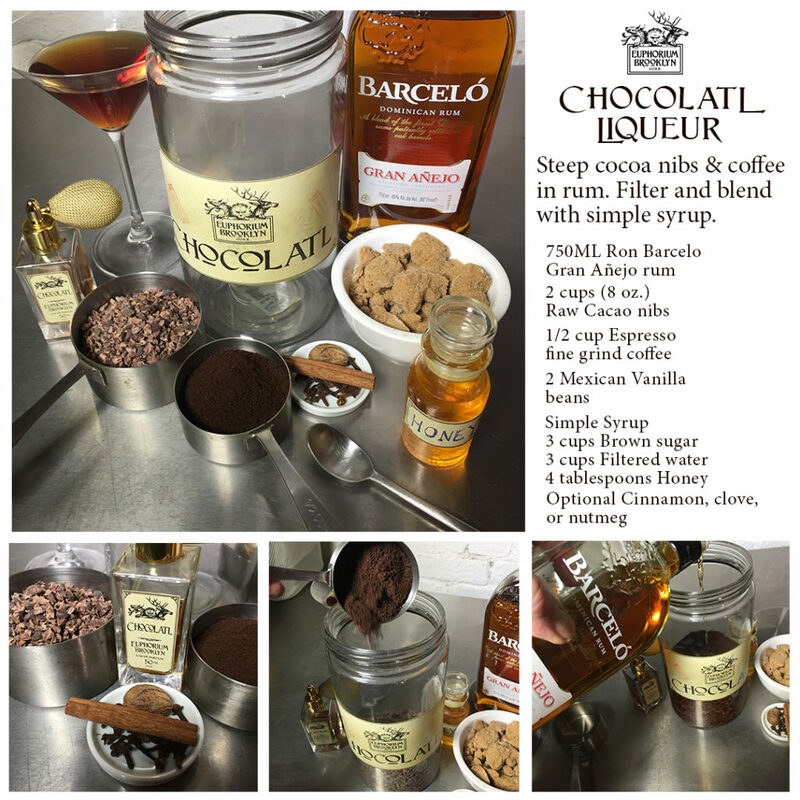 dark and sultry fragrance and chocolate themed dances. internationally acclaimed, Dirty Martini and Tal Shpantzer’s photography. throughout the night. 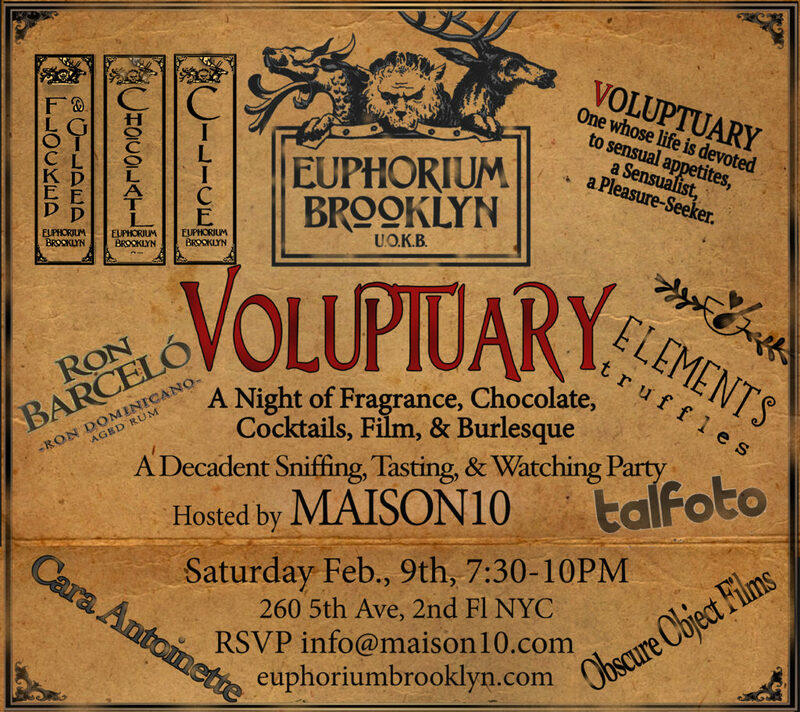 We will be screening her latest work with Lady Alice Blackwell. 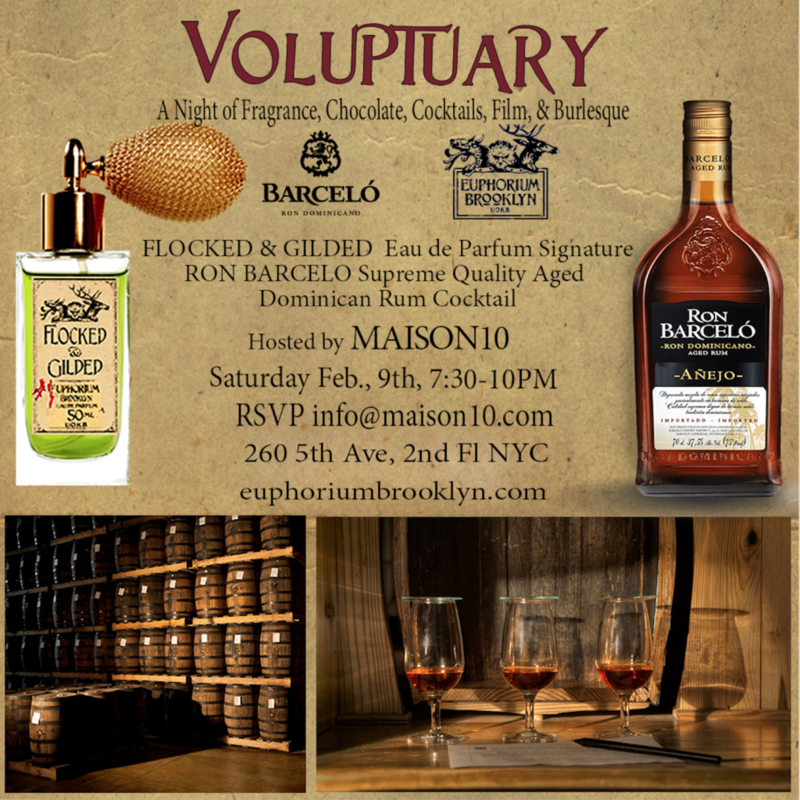 Ron Barcelo supreme quality aged Dominican rum will be served. 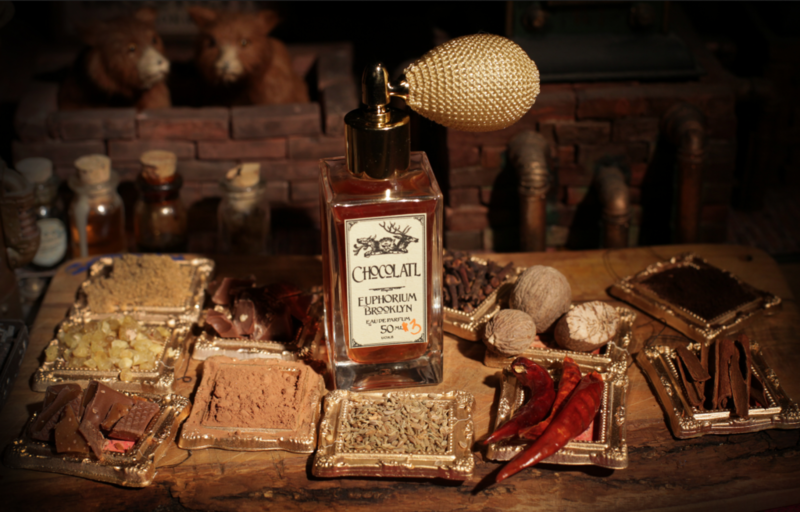 oleo saccharum and a labdanum “finishing spray”. 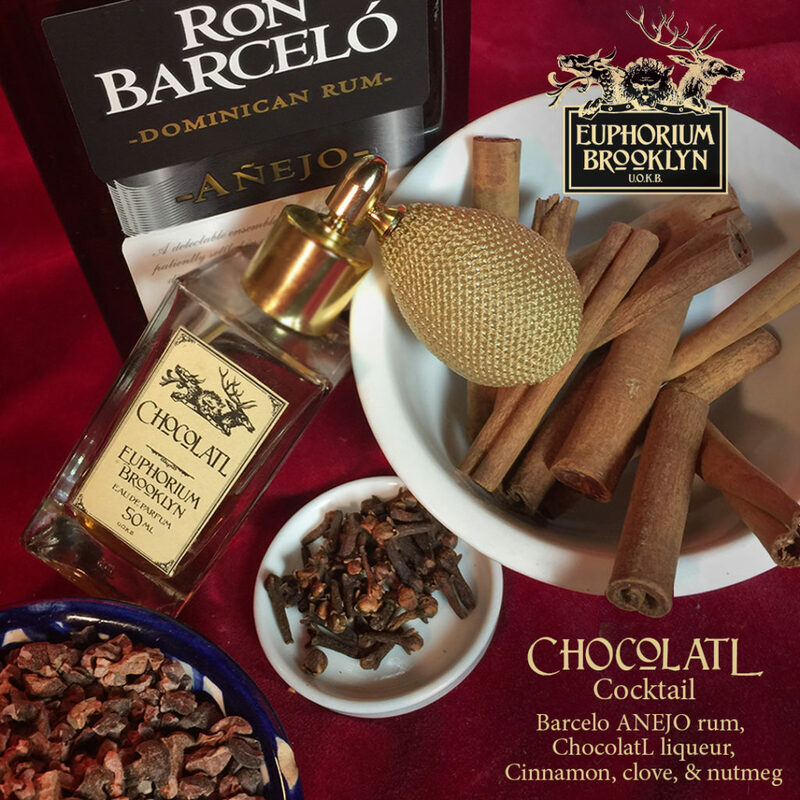 with the dark rich notes of Ron Barcelo Anejo aged Dominican rum. 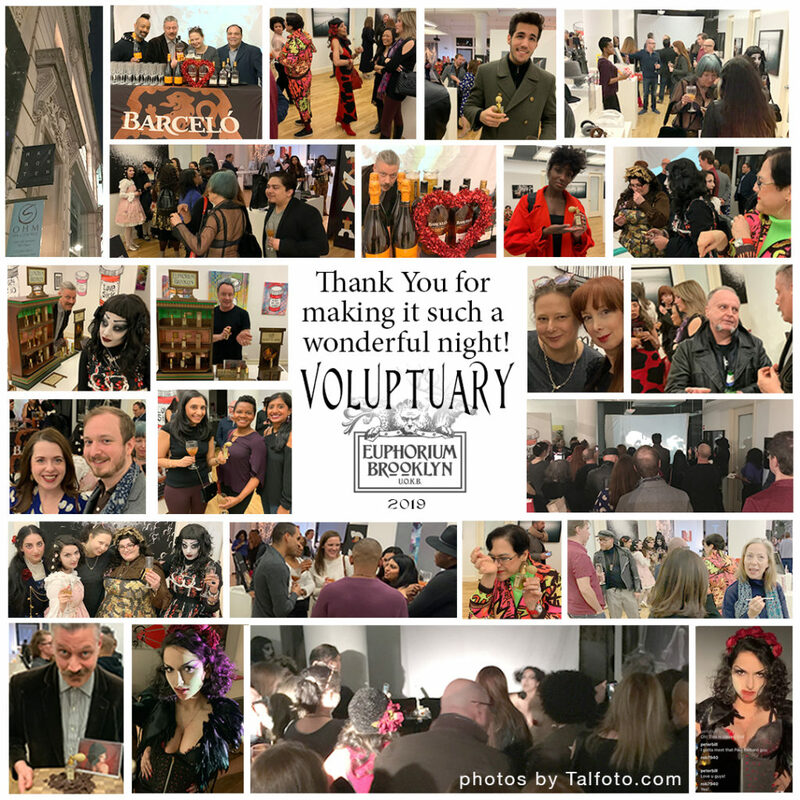 Check out our 2017 VOLUPTUARY Event at the “original” MAISON10 location.